What sleeping equipment do I need for a DofE expedition? 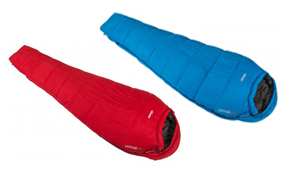 A good night’s sleep always helps on expedition so it’s important to have a sleeping bag designed to give you comfort at the lowest minimum temperature. There’s plenty of choice, so it pays to look around and work out what’s right for your adventure. 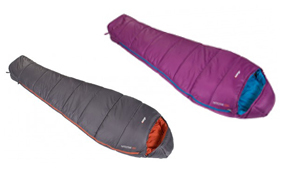 Check the temperature range for which the sleeping bag can offer you comfort and safety. Remember, there’s no need for a heavy 4-season bag if you’re sleeping in a warm location in summer. 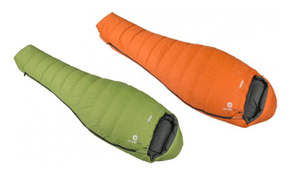 An outdoor sleeping bag is usually made of synthetic or down material. Synthetic is cheaper and heavier, and offers more insulation when wet. Down is light, compact and very warm – but more expensive and only insulates when dry. All Duke of Edinburgh’s Award recommended sleeping bags are snug ‘mummy’ shape for outdoor use, with compression sacks to pack small. A 3-season bag should be fine for any Award level. 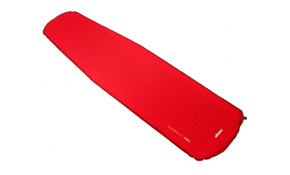 Sleeping mats give you extra insulation and comfort when camping. Use standard padded mats, or self-inflating mats for that extra level of comfort. A yoga or pilates mat isn’t suitable for sleeping outdoors. You may only need a three-quarter length mat to keep your shoulders and waist comfy. 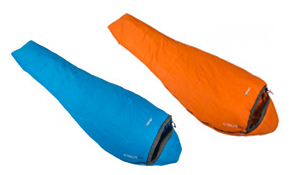 Don’t spend loads on a 4-season sleeping bag if you’re only going for a short trip in a warm climate. Use a silk or cotton liner in your sleeping bag to cheaply add an extra season – these are also suitable if you are borrowing someone else’s bag. Borrowing someone’s sleeping mat is fine and can be a real cost-saver. Use your exclusive DofE Card or Voucher to claim your discount* in all local GO Outdoors, Blacks, Millets, Ultimate Outdoors or Tiso store (Scotland only) and online. For DofE Adults’ discounts, click here. Keep your sleeping bag dry! Pack it inside your rucksack in a waterproof bag. If water comes into your tent, use your survival bag to keep your sleeping bag dry. If the night is very cold, wear extra layers and put your fleece in the bottom of the bag to keep your feet warm. Use the elastic straps provided to roll your mat – not string which can damage it. 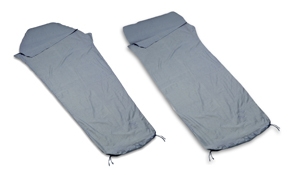 Don’t store tent poles inside your rolled-up mat – if you lose them, you’ll have nowhere to sleep.